Just to be a pain, both of these words are adjectives! "The presence of Christmas was discreet - a moderately-decorated spruce here, a string of lights there." From Christmas in Rome by Philip Marsden. 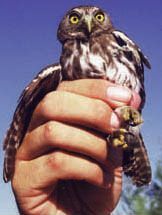 "The endangered Arizona pygmy-owl is discrete from the remainder of the species." A good way of remembering the difference (spelling and grammar checkers don't know the difference!) is that the t in discrete separates the two e's... they are discrete.